Invest in someone's future today! ELADC's goal is to raise $25,000 by the end of 2019. Bring our building's fire alarm system up to code. - ACCOMPLISHED! 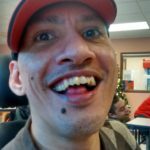 Help aid in the purchase of a new DOT van. Update out of date equipment. 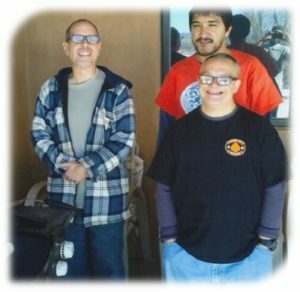 We at EnSueños Y Los Angelitos Development Center (ELADC) have a passion to assist individuals with developmental disabilities to live their lives as independent as possible, while becoming a part of their community and continually being the best that they can be. We help to enhance their lives by providing services and supports which enable them to live, work, and participate in their communities. Los Angelitos is an early intervention program that provides specialized services and support to eligible children and their families birth to three years of age with developmental delays or who are at risk for delay due to medical/biological, or environmental risk factors. Your donation is more than tax-deductible, it is an investment in the future of individuals and families in your community. So please DONATE TODAY by calling us at 575-758-4274, or click the donate button. If you have already made a donation and need a tax receipt acknowledging your gift, please let us know.